Here we are not interested in just following what the majority believe. We base our beliefs on the Bible and the Bible alone. Which places this website in a unique position amongst the majority of prophecy websites on the internet. 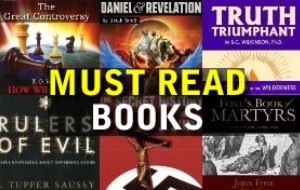 Here you will find solid Biblical facts concerning the end times, rather than "traditional views" or wild speculations. Why is Bible prophecy full of symbolic language? The same reason that Jesus spoke in parables to the Jews. Because Jesus wants us to dig deep and study and seek the truth. The people are dull of hearing and cannot see. But God's TRUE servants will dig deep and seek the truth, because they love Him. IS THE RFID CHIP THE MARK? WHO IS THE MAN OF SIN? There is a simple formula to help iterpret prophecy, and that is to use the Bible to interpret itself ... AND ... use historical events to back up the prophecies. Now this is where many prophecy students and teachers go wrong. They ignore the past 2000 years of amazing history and place the vast majority of Biblical prophecy in the future right at the end of time. So our question to them is, would God be silent about a third of earth's history and just focus on the last days? No, this could not be, because our interpretation of end times prophecy would be pure guesswork if we didn't have historical events to back up our beliefs. As you can see, the things revealed to John were happening in his day and also to begin happening a SHORT time after he wrote them. So the Bible must contain prophecies that have been fulfilled right throughout history. Which means we must take an historical view of Bible prophecy, which will give us the facts and data we need to truly understand the end times. Why do you think we get so many wild speculations as to who the antichrist beast system is? Why do you think we get so many wild speculations as to what armageddon will be? And why do you think we get so many wild speculations as to what the mark of the beast is? Because the people who make these speculations have no historical evidence to back up the prophecies they are trying to interpret. They are just guessing at best. Let me give you an example of how to interpret prophecy. In Daniel 7 we have four beasts. A Lion, Bear, Leopard and a "terrible beast". What do these beasts represent? Well, let's use the formula we mentioned above. Does the Bible tell us what beasts in prophecy represent? Yes ... Daniel 7:17 ...'These great beasts, which are four, are four kings, which shall arise out of the earth.' ... Are the beasts literal kings, as in a single leader? No, take a look at this next verse ... Daniel 7:23 ...'Thus he said, the fourth beast shall be the fourth kingdom upon earth.' ... So there we have it. The four beasts are four nations of the world. But what four nations do they represent? 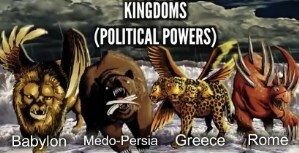 Many end time prophecy students and teachers today proclaim that these four beasts are kingdoms of TODAY. But they make the vital mistake of not using the scripture to interpret itself. In the above verse in Daniel (v23) it clearly states that the fourth "terrible" beast would be the FOURTH KINGDOM UPON THE EARTH. So clearly, the four beasts CANNOT be kingdoms of today because we have had many, many kingdoms come and go throughout history. So what nations do the beasts represent? Well, the prophecy was made in Daniel's day, when the ruling nation was Babylon. So Babylon would be counted as the FIRST "kingdom upon earth". Can we prove this? Yes. In Daniel 2 we have Nebuchadnezzar's image. And what was represented by the "head of Gold"? Babylon! The FIRST major ruling kingdom upon earth. We MUST stay true to the Word of God. And the Word of God clearly states that the fourth beast was to be the fourth kingdom (ruling kingdom) upon the earth. Therefore we CANNOT take this beast and place it in the future like so many people do. We HAVE to take an historical view of it as shown above. This is how to interpret Bible prophecy. Although a lot of Bible prophecy has already been fulfilled throughout history, there is still a good number of prophecies concerning the end times that are yet to be fulfilled. 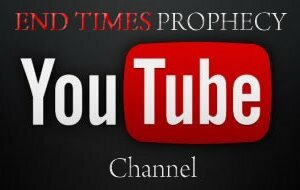 And on this page we will be adding important studies dealing with those end time prophecies. There is only one way to know the future and that is to find out the "Revelations" that God has provided for us through His prophets. God gave us detailed prophecies concerning the last days and the end of the world. And we pray that you will seek these truths with all your heart, as they will help stop you being deceived by Satan. Please see our END TIMES PROPHECY website for more Bible prophecy truths.